Being your own boss really pays off at ATS! Get ready for your business to take off when you partner with ATS. Our independent contractors profit from a steady stream of high paying freight. Get support from the home office that leaves you stress-free on the road. We've got the top quality freight to take you where you want to be. Choose the truck division that best suits you and we'll keep you earning and satisfied. 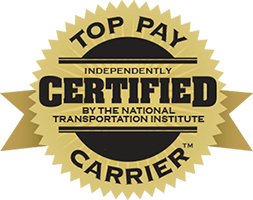 Whether you prefer a regional, dedicated or over the road, ATS offers independent contractors top pay — $180,000 annual gross average.